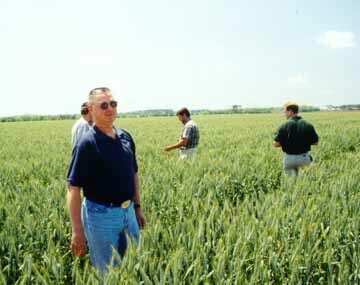 Wheat Quality Tours actually tour the wheat crops in the fields. These tours give you first-hand experience and understanding of the quality of this year's wheat crop even before it is harvested. Any person who is interested in attending will gain great insight and network with specialists in the wheat quality field. Last Revised: February 2017 Copyright 2017 Wheat Quality Council All rights reserved.